When the sun heats the land and the air above it warm, damp air rises. As it rises, the warm air cools causing it to condense and form clouds. Clouds collide and merge into other clouds forming bigger clouds. The clouds continue to rise and spread out into the stratosphere forming an anvil-shaped cloud. 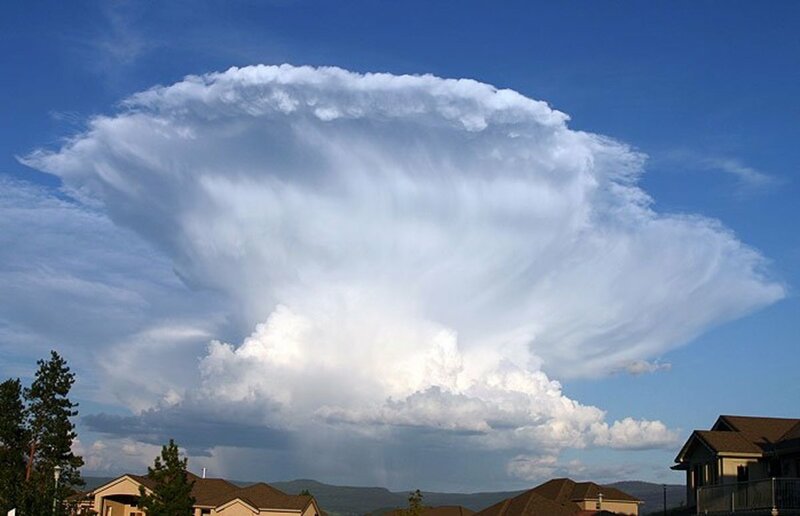 These anvil-shaped clouds are cumulonimbus clouds, which are the largest clouds that produce lightning. As the cloud cools, tiny particles of ice form and fall down through the cloud. 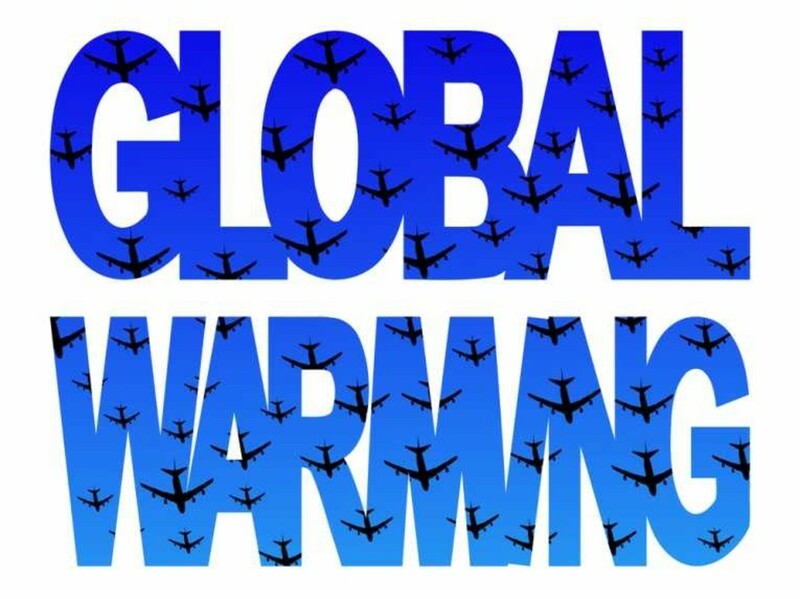 Larger ice particles fall to earth as hail stones. The falling ice particles cause friction against rising particles. 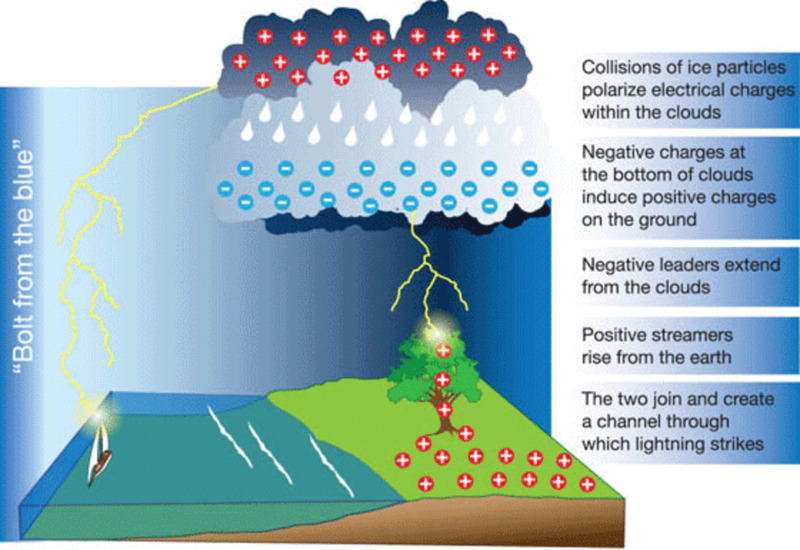 This friction creates electrical charges within the cloud. Positive electrical charges build toward the top of the cloud and negative electrical charges build toward the lower parts of the cloud. The opposite electrical charges jump from one area to another trying to seek a state of balance. The energy that builds from this process comes in the form of lightning. 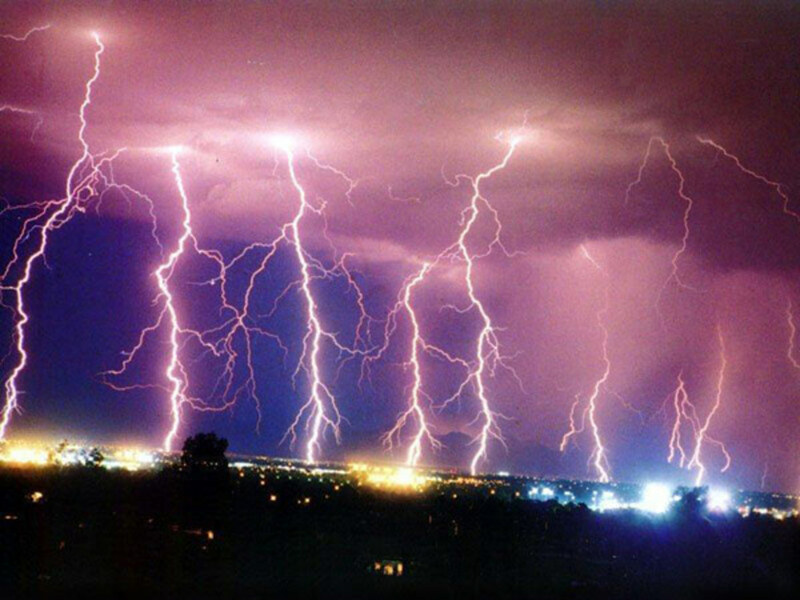 Most lightning strikes occur between clouds. Some lightning isn't even visible to the naked eye. Until recently scientists barely knew anything about how lightning forms and what path it takes. Although there is still much to learn about lightning, the breakthroughs that have been made are due to modern advances in photography. Through photography and video, scientists have been able to slow down and freeze the footage of a lightning strike to get a glimpse into the formation of a cloud to ground lightning bolt. So what really does happen from the time the electrical charge leaves the cloud to when it hits the ground? 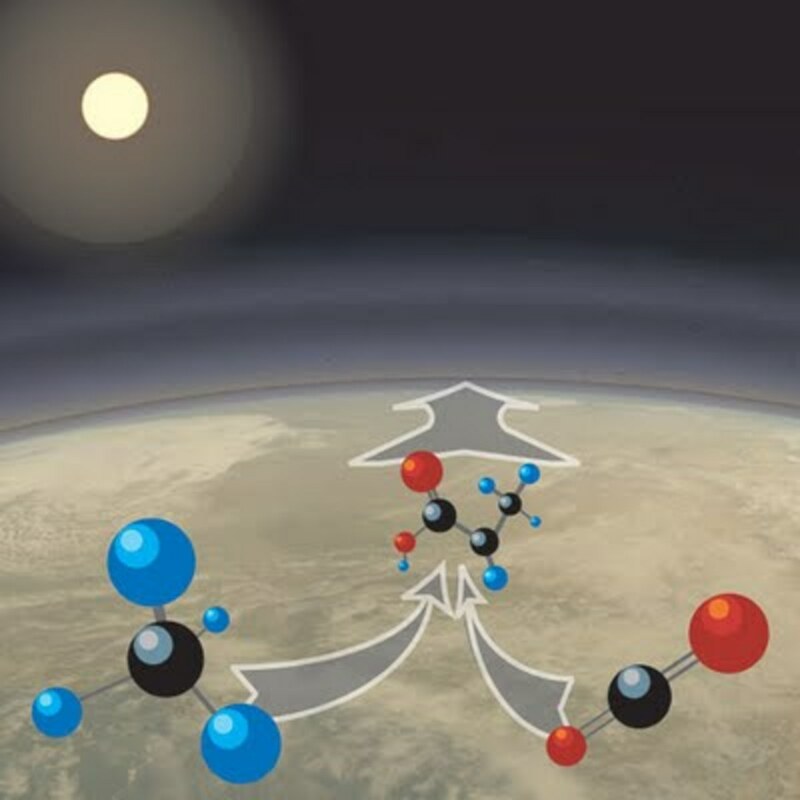 As the electrical charge leaves the bottom of a negatively charged cloud, it is searching for a positively charged target, and just not any positively charge target. The lightning appears to the naked eye as just a bolt of electricity going from the cloud to the ground but there is more to it than meets the eye when comes to lightning. The anatomy of lightning is more complex than one might think. The first stage of lightning is when a negative electrical charge darts out of the cloud in fifty yard segments. This stage of lightning is called step leaders. The step leaders are like feelers darting and dividing out in various directions looking for a target. As these step leaders get closer to the ground, something quite extraordinary occurs. The second stage is when positive electrical charges from the ground react to the electrical charge in the atmosphere coming from the step leaders. Positively charged streamers reach up from the ground and objects on the ground searching to connect with the negatively charged step leaders. These positive streamers can stretch up anywhere from a few feet to a few hundred feet until it connects with the step leaders. The third and final stage is when the step leaders connect with the positive streamers. In a flash, the electrical charge drains from the cloud to earth. This is what most people see in lightning storms. 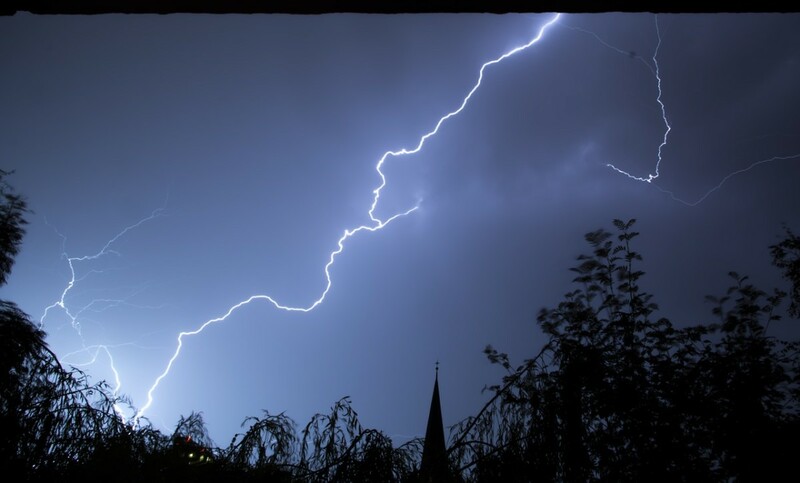 A bolt of lightning takes less than 0.5 seconds to drain the electrical charge and most bolts of lightning are less than 2 inches in diameter. As most people know, where there is thunder there is lightning. 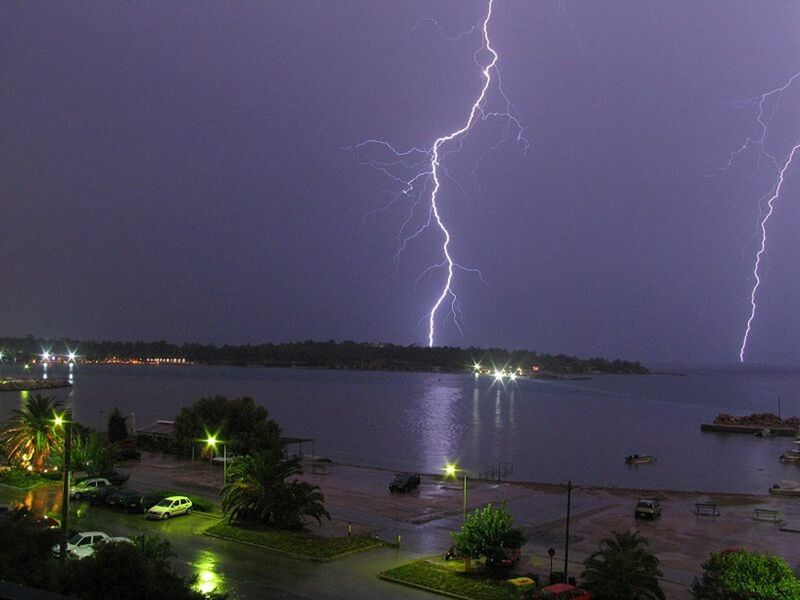 Thunder occurs when lightning causes the sudden heating of the atmosphere. Lightning is actually a hotter temperature than the surface of the sun. 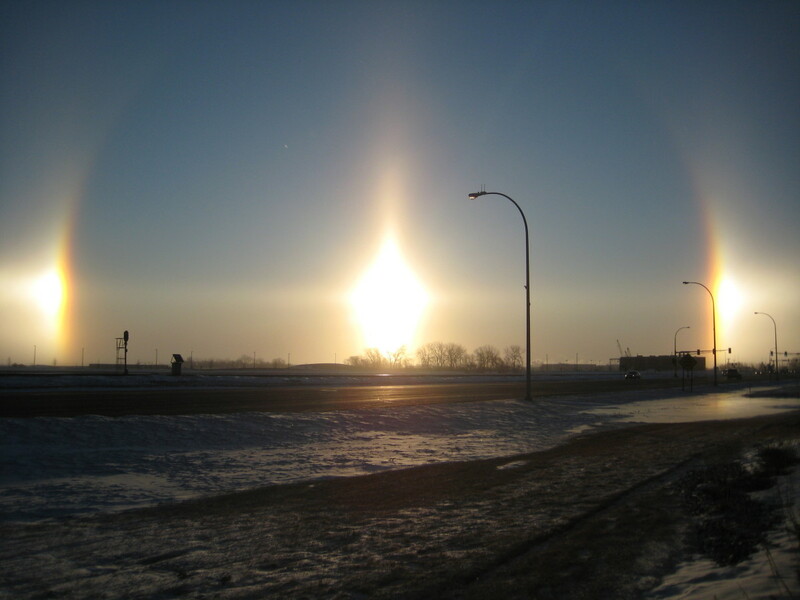 This sudden heating of the atmosphere causes the air to expand rapidly, creating an explosion of atoms and molecules. The sound heard from this is what we know as thunder. Most people were told growing up to count the seconds between lightning and thunder to determine how fast the storm is moving. However, this may not be entirely accurate. Lightning can travel and strike up to 10 miles from the storm. But have you every wondered why there seems to be a pause between a lightning strike and thunder? This is because light travels faster than sound. In fact, light can travel a mile in .00000538 seconds but it takes 5 seconds for sound to travel a mile. So ultimately, the best prediction one can make by counting between lightning and thunder is how close the lightning strike was. There is still so much that scientists still do not know about about lightning. Only recently have scientist been able to understand the basics to how lightning forms, yet there is still so much we don't know. In fact, we understand more about how a star in space explodes compared to why lightning occurs and predicting lightning strikes. 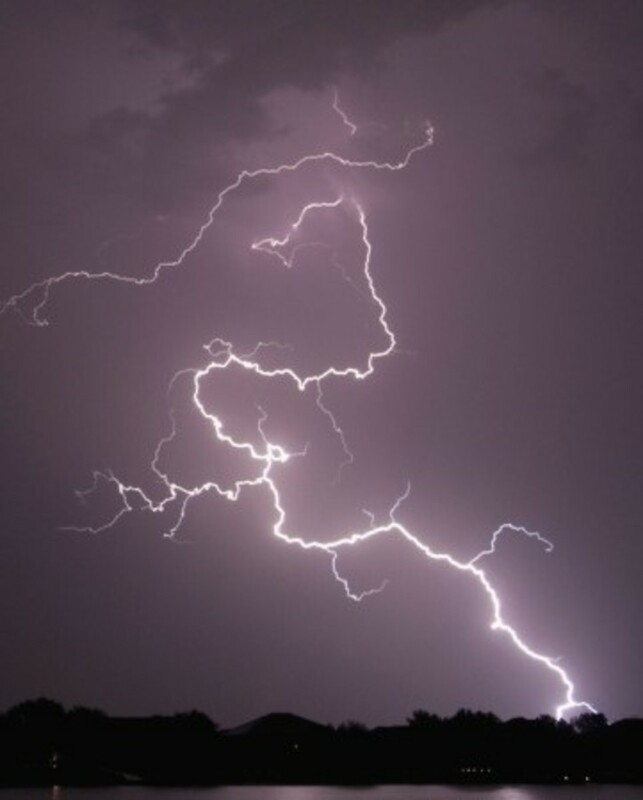 Luckily, with the advancement of technology, scientists are unlocking the many secrets behind how lightning forms and predicting where it will strike. If you hear thunder 15 seconds after seeing lightning, how far away is it? We had an intense storm here in the UK a couple of days ago and I waited for hours with my camera trying to capture the lightning, but failed! I would love to know how these photographers do it.